WORK — Shaved Head Media, Inc.
Shaved Head Media brings the value of a full-scale creative marketing agency, and a professional partner for your business. We learn your business and sell it as our own. We offer a diverse list of business services, all under one roof. No matter your business market, Shaved Head Media brings forth our combined talent, industry experience, and vast network to empower you with several solutions for you to choose from. Just like having your very own marketing department for your business or project. Marketing and communication are the lifeline of your business. We believe every business deserves a professional marketing presence. There are several paths to put your product or service into customers’ hands. Our experience enables us to create high level, cost effective solutions to help your business, your brand, grow market share. Managing an audience means building a customized approach. More importantly, building relationships with real people (fans, followers, consumers, etc.) who interact with brands online. A websites key role is to generate business. We work together to find the right website solution to drive traffic to your website to your products or services. 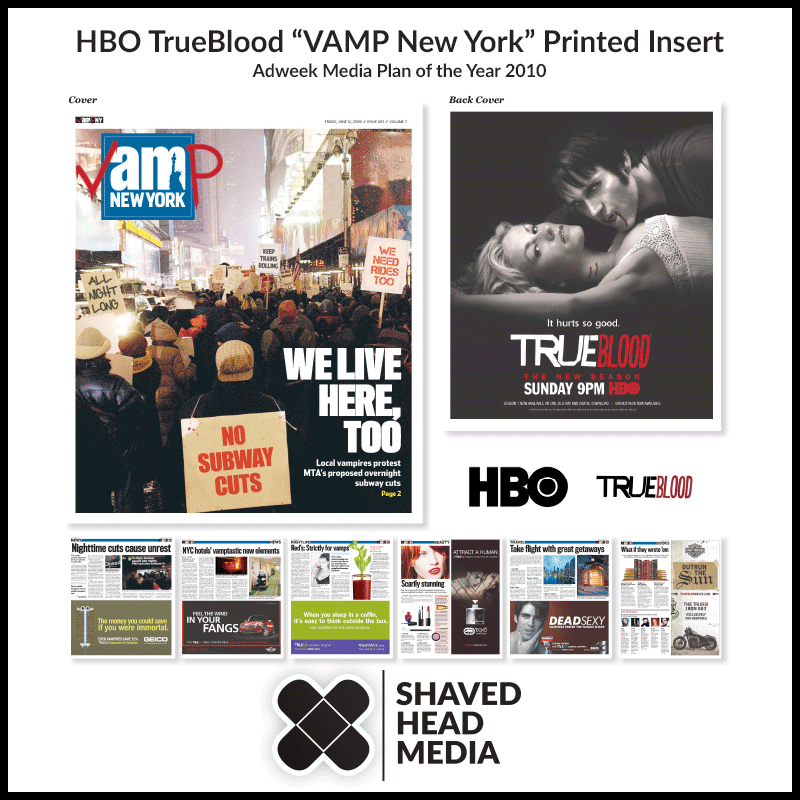 Shaved Head Media can develop and design the best online presence possible for your brand or business. We can create any custom solution including, various template websites, e-commerce, and WordPress. Search Engine Optimization is a sweet science. We’ve learned there is no one formula for everyone. But the correct formula works! Expand your monthly visitors and turn thousands of your readers into paying customers. Create and grow a new blog to drive traffic, and supplement your SEO initiatives. Let’s talk today about creating a comfortable strategy, with informative statistics, and a real return on your investment. Marketing and publicity campaigns are a great way to reach out and create new relationships. Gain public visibility and awareness for any product, brand, service or event. An intelligent way to build your brand. With more than 25 years in the industry, our print vendor list expands beyond local, regional, and national agencies, to international print agencies. This ensures we can delivery the best quality and the best price. We can print just about anything. We have developed relationships, as well as partnerships, with proven companies, and leaders in their industry. Feel free to request a quote for your next printing project.